Apple's anticipated media event laster this month in New York City will focus on iTunes U, education and digital textbook publishing, a new rumor claims. Journalist Clayton Morris of Fox News wrote on his personal blog on Tuesday that Apple will in fact deliver a presentation to the media in New York later this month. The location was allegedly chosen because it is "more centrally located for textbook and publishing." He said the event was originally scheduled for late fall of 2011, but it was postponed. 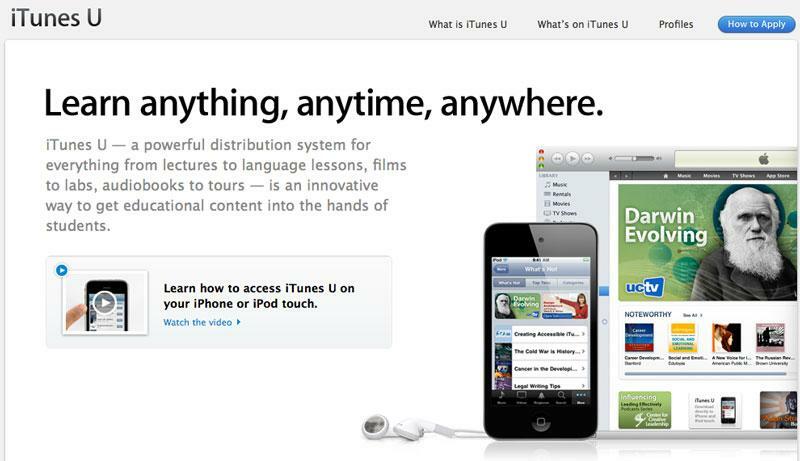 The press conference will reportedly focus on iTunes U, a free service Apple provides that gives access to educational content, and other education-oriented topics. Morris's claims are followed by a report that came on Monday that stated Apple planned to make some industry-related announcements for publishers about the iBookstore platform, currently available on iOS devices. Word of the late-January event was first publicized by All Things D, which said the event will not feature any new hardware like an anticipated third-generation iPad or Apple television. Morris has now added to those rumors with his own details, and he said the event will feature "a big announcement in a demure space." He expects "at least two large project announcements as they relate to Apple in education." Apple co-founder Steve Jobs was said to have been personally involved in this project before he passed away in early October. Jobs even told biographer Walter Isaacson that textbooks were one product he wanted to reinvent, along with photography and televisions. While his latest information does corroborate with other recent reports, Morris has a spotty track record with respect to Apple rumors. Two years ago, he incorrectly claimed that Apple would show off iOS 4 and iLife 2010 at a January media event in California. Morris's sources were also wrong in claiming that Apple would release two versions of the first-generation iPad: one with CDMA support, and one with GSM, to offer compatibility with both Verizon and AT&T 3G networks in the U.S.